My friend and I were on our way to visit Belvédère and came across a small café with large windows and a very appealing interior. I really never thought I would find a hemp mylk bar ..in Vienna! We came back after our visit, very excited to taste it. In case you were wandering whether we went « high », I can tell you that we didn’t. Hemp is still a source of controversy as it is assumed that this plant has the same effects as marijuana (they share the same scientific name of Cannabis Sativa), but they are two distinct varieties. 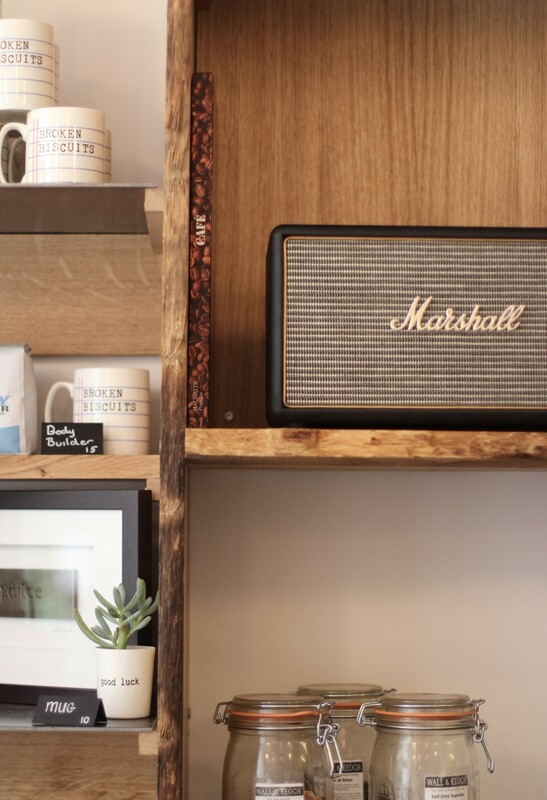 You can find all the information on the Mylk Bar’s website here. I already saw Hemp mylk on store shelves in New York but they were containing additives+thickeners and was not very thrilled to try these versions. Hemp is particularly interesting for vegans and vegetarians because of its rich nutritional values: it contains the good fat -omega 3, and all of the 9 essential amino acids, which makes it a really good source of plant based protein. In France you can find hulled hemp in organic stores (to sprinkle in your salads, soups..) and in the US, it is sold as a superfood in powder and oil. You can guess, as a specialized mylk bar, it is freshly made every morning by Benoit and Kumiko, the adorable owners who are from Geneva. The menu is all about that magic plant: in smoothies, shakes, coffee and dishes: wraps, salads. If you just want to try the mylk, choose the « original », lightly sweetened with dates and a nutty flavor. Maybe in the future they will expand their menu with desserts made with hemp flour? Looks like possibilities are endless! Where? Wiedner Hauptstrasse 34, 1040 Wien, AUSTRIA. Website: here. Do you remember when I was talking about the exquisite pastries at Honor Café, rue Saint Honoré? They are from Broken Biscuits a tiny little coffee/cake shop in the dead end street Passage Rochebrune. Cakes and pastries are freshly baked here everyday by Christine O’Sullivan who was a contestant in the Irish MasterChef. 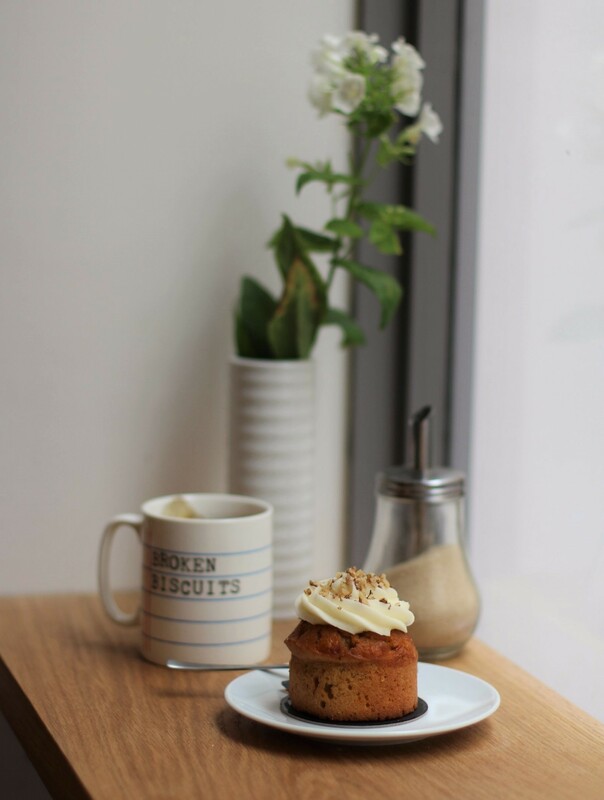 The muffin carrot cake and the lemon pavot are beyond what you usually expect from these pastries, they are completely addictive! 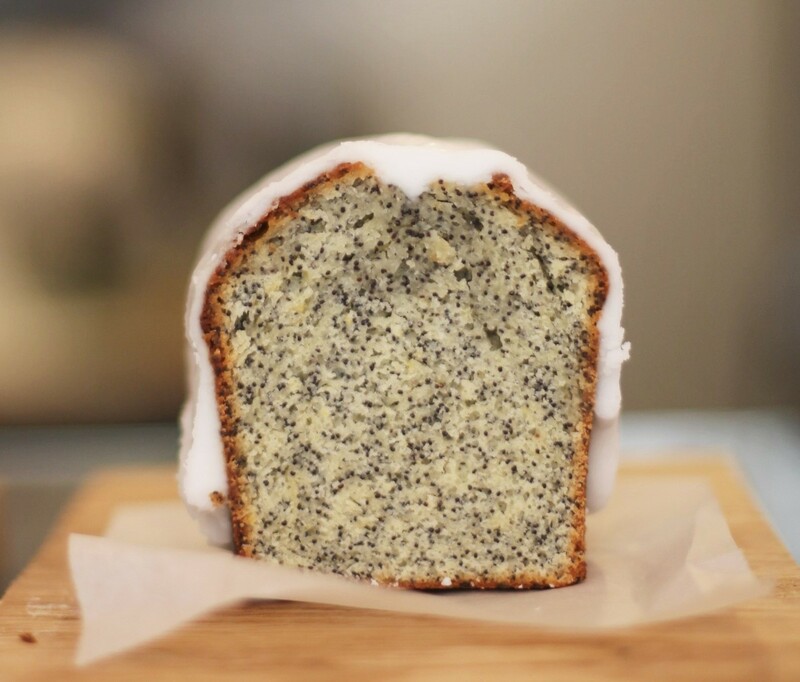 I don’t like lemon but Christine’s version is rich and mega moist. You can also have breakfast with a bowl of granola or lunch with quiches and sandwiches. 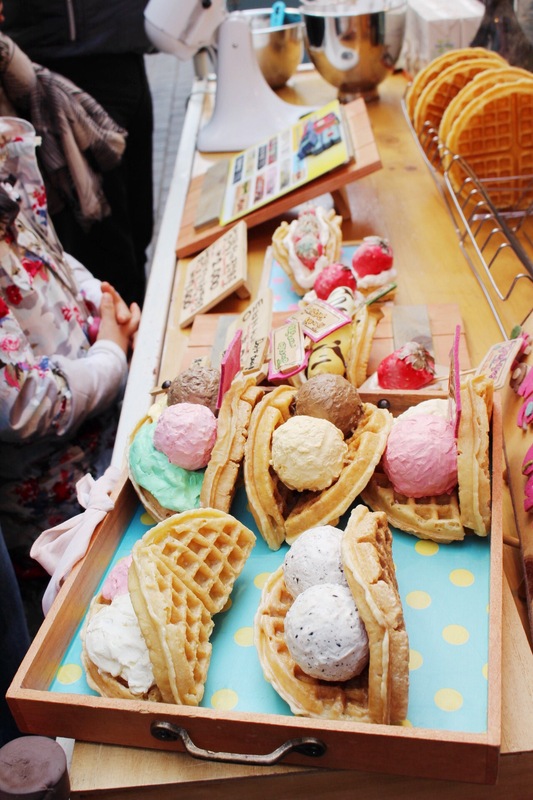 I will try them for sure on my next visits! 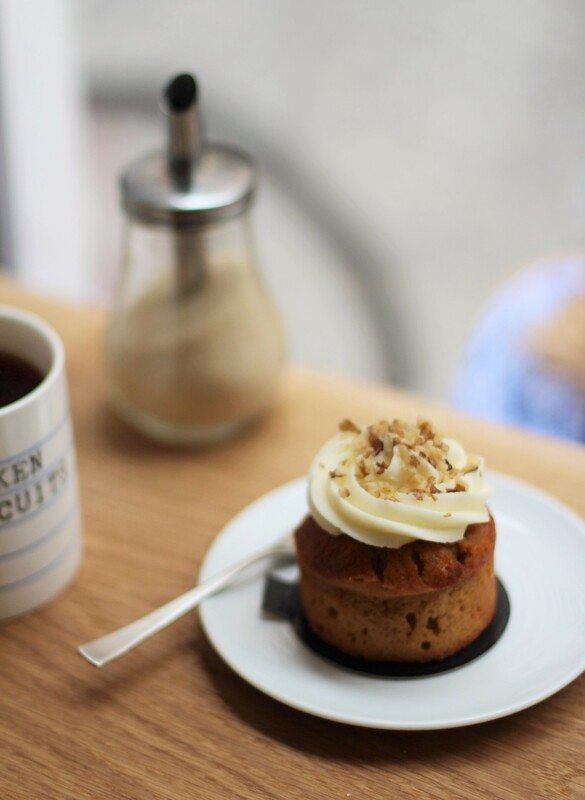 If it is too far for you, you can always enjoy the pastries at Honor Café, Loustic & Fondation coffee shops. As it is a really tiny inside, try to avoid rush times. 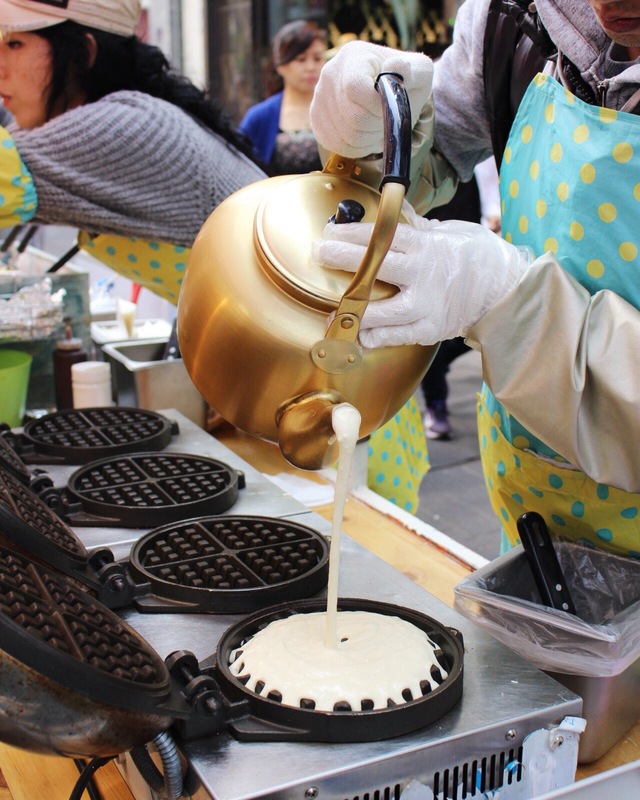 The most original and impressive street food can be found in South Korea: from rainbow cotton candy to more traditional specialties, it is food heaven at any time of the day. 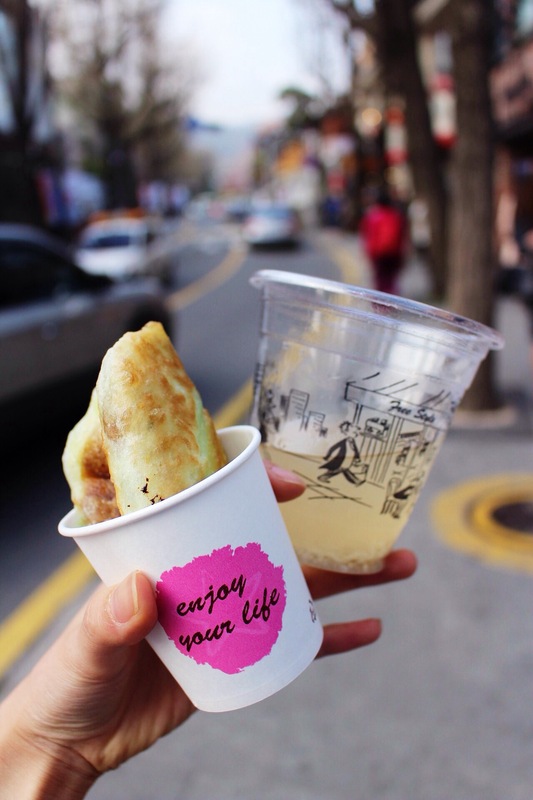 And like fashion, there are trends: currently it seems like Churros are very popular as I often see people forming a line in Itaewon and Apgujeong. I really appreciate how food is presented with creativity and how delicious it is. 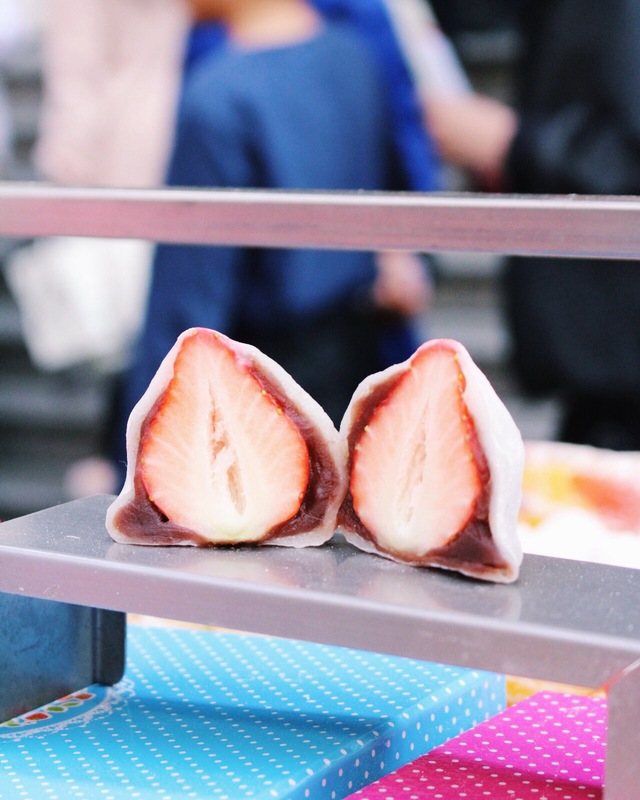 I recently discovered those strawberry mochi covered with red bean paste in Myoung-dong and also the best Tteokbokki -떡볶이 in Samcheong-dong area. 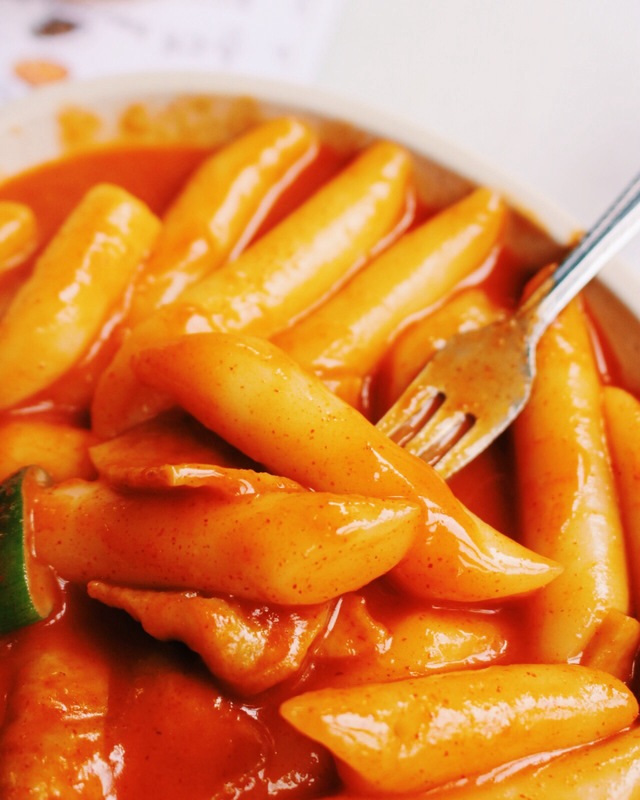 Tteokbokki can be spicy and hot, if you are not used to eat this kind of food, be cautious. It reminds me of my childhood, and it is a dish which is enjoyed at any moment of the day. 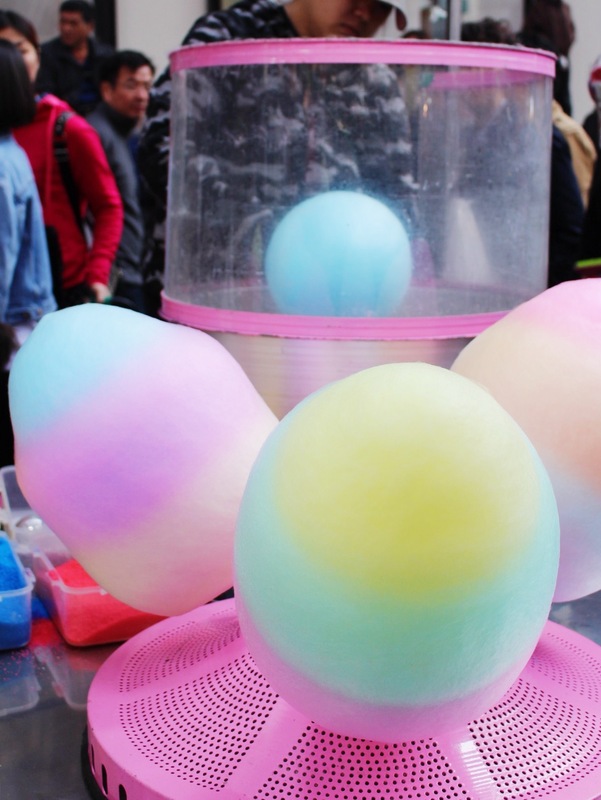 And below: not just cotton candy ..but Rainbow cotton candy! It was also in Myoung-dong -명동. If you want to try a traditional korean dessert, have a « Ho-ppang » -호빵, which is rice cake filled with honey or brown sugar. 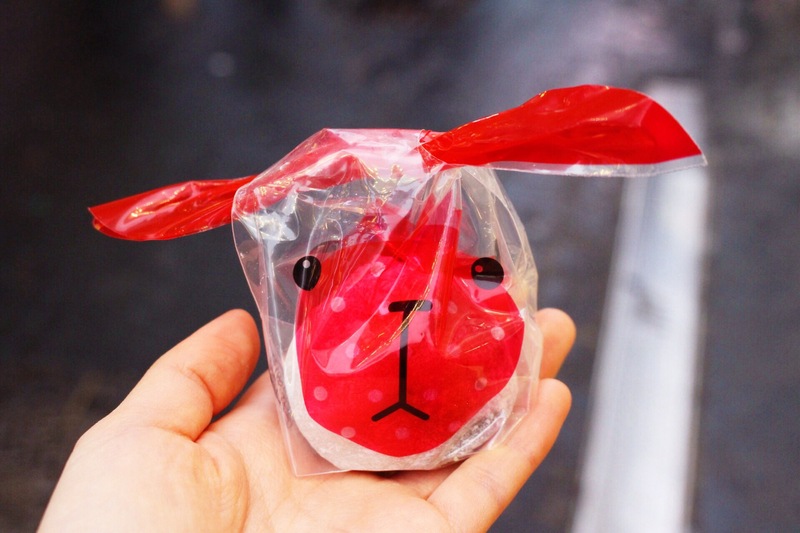 It is a sweet treat any Korean has tried at least once during their childhood. I came across many vegetarians in Seoul. Finding vegan dishes in South Korea can be a challenge with the language barrier. All the food pictured in this article are suitable for them.